Commander of Operation Safe Haven, Major General Austin Agundu, yesterday paraded a suspected notorious criminal, Timothy Zakka, and 10 others for cattle rustling and terrorising residents of Plateau State and the North Central since 2001. Agundu also paraded a serving member of the National Youth Service Corps (NYSC), Isa Abubakar, with his primary area of assignment at Ancha Community School in Isukwuato Local Government Area of Abia State. The corps member was arrested in possession of 477 sachets of illicit drugs. Agundu disclosed this while parading the suspects at the Headquarters of Operation Safe Haven, Jos, Plateau State. The commander said some of the suspects, who were in possession of dangerous arms and ammunition, are cultists and drug peddlers. He said: “One of such kingpins is Mr. Timothy Zakka aka Timaya who had unleashed a reign of terror across Plateau and perhaps North Central region since 2001. Agundu said Mr. James Elisha of Rakwok village of Barkin-Ladi was arrested for being in possession of an AK47 rifle loaded with one round of 7.62 mm ammunition. He said the suspect, who was a cattle rustler, accidentally shot himself in his left foot while attempting to flee, on the sighting of troops. Agundu noted that Abubakar, a suspected drug peddler, was arrested in a commercial vehicle en route to Jos in possession of 477 sachets of illicit drugs suspected to be Flunitrazepam. He explained that the arrest of Abubakar led to the arrest of Chinedu Egbsbuike with 146 sachets of same drugs at Saint Murumba, Jos. 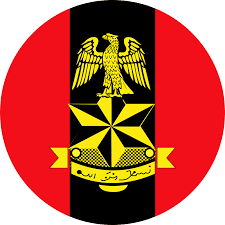 The commander advised community leaders to expose all criminal elements within their fold to avoid being treated as accomplices regarding the destruction of lives and property on the Plateau since 2001.